Vanderbilt’s Center for Latin American Studies and the Jean and Alexander Heard Libraries will host a public lunchtime lecture featuring Jason De León, associate professor of anthropology at the University of Michigan and a MacArthur Fellowship recipient, on Friday, Feb. 8, at the Central Library Community Room. 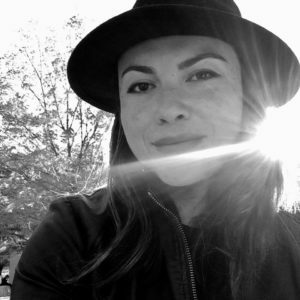 The lecture, “Soldiers and Kings: Violence, Masculinity and Photoethnographic Practice in the Context of Human Smuggling Across Mexico,” will begin at 12:10 p.m. with De León’s presentation, followed by a question-and-answer session. Admission to the lecture is free, and lunch will be provided on a first- come, first-served basis. Since 2015, De León has been involved in an analog photoethnographic project focused on documenting the daily lives of Honduran smugglers who profit from transporting undocumented migrants across Mexico. In his talk, he will discuss the evolving relationship between transnational gangs and the human smuggling industry, as well as outline the complicated role that photography plays as a field method and data source in this violent, hyper-masculine and ethically challenging ethnographic context. De León is author of the award-winning book, The Land of Open Graves: Living and Dying on the Migrant Trail. 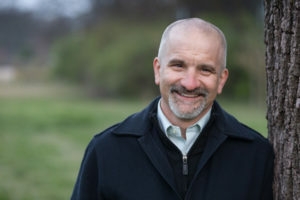 He was named a MacArthur Fellow in 2017. He is the director of the Undocumented Migration Project, a long-term anthropological study of undocumented migration between Mexico and the United States that uses ethnography, archaeology and forensic science to better understand this social process. For more information, contact the Center for Latin American Studies at clas@vanderbilt.edu. “Sonic Re-Activation: Unearthing Public Square’s Forgotten Pasts” will take place at 6:30 p.m. at the Public Square Park. Galindo’s interest in the history of the Americas drew him to the Public Square and its many roles in the founding of Nashville—as the former site of a slave market, its proximity to the toll bridge along the Trail of Tears, and as a site of political activism during the city’s civil rights history. Galindo’s performance at the Public Square, newly commissioned by Vanderbilt, culminates a three-week collaboration with students and faculty. Galindo also will offer a solo performance, “Sonic Borders III,” Oct. 26 in the Steve and Judy Turner Recital Hall at the Blair School of Music. This process-oriented sound performance, which begins at 6 p.m., is a sonic ritual featuring some instruments built with materials found around the Mexican-U.S. border fence. “Sonic Borders III” has been performed in museums and concerts halls across the United States and Europe. Galindo’s artistic practice emerges from the crossroads between sound, sight and performance and includes everything from orchestral compositions, instrumental works and opera to sculpture, visual arts, computer interaction, filmmaking, electro-acoustic music, instrument building, three-dimensional installation and live improvisation. Galindo’s works have been shown at major museums and art biennials in America, Europe, Asia and around the world including “documenta14” (2017), “Pacific Standard Time” (2017) and “CTM Festival” (2017). The New York Times, National Public Radio, CBC and Reforma are among the print and broadcast media who have reported on his artistry. His residency at Vanderbilt is a collaboration between the Center for Latin American Studies, the Department of Art, Blair School of Music and the Program in Comparative Media Analysis and Practice. 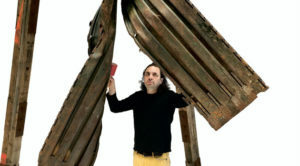 In honor of Galindo’s presence on campus, Vanderbilt will also hold a one-day symposium, “Border Elegies: Refugees, Migrants and Contemporary Art and Literature,” on Oct. 26. Presenters will explore different artistic responses to the issue of migration and discuss the human rights implications of today’s flows of refugees. Click here for more information. Both performances and the symposium are free and open to the public. Con el objetivo de ampliar su trabajo sobre la primera bonaza del narcotráfico en Colombia durante los años 1970, la investigadora Lina Britto, visitó recientemente la Universidad de Vanderbilt, donde consultó por espacio de una semana los archivos de la Colección Etnográfica Manuel Zapata Olivella. Britto, quien es profesora asistente de Historia en la Universidad de Northwestern (Ill), vino en busca de testimonios orales en torno al incipiente tráfico illegal de marihuana que precedió la conformación de los grandes carteles de la droga en los años 1980s, para incluirlos en un libro de su autoría que está en proceso de publicación. Durante su indagación, Britto consultó las tres principales subsecciones de la Colección Zapata Olivella: El Grupo Etnográfico (centrado en registro de las prácticas y costumbres colectivas en la Colombia rural), “La Voz de los Abuelos” (que recupera la historia popular colombiana a través de testimonios de adultos mayores) y el segmento “Wayu y Arijuna, 500 años de confrontación,” que explora las identidades étnicas y la diversidad cultural en la Guajira colombiana. En su conjunto, la colección – creada por el medico y etnógrafo Manuel Zapata Olivella (1920-2004) – constituye un registro único que reconstruye mediante grabaciones de audio, parte de la historia de Colombia y permite estudiar sus identidades, etnicidades, y regionalidades, a través del lenguaje oral y testimonios populares. En un sentido más amplio, Britto se propuso familiarizarse con la colección Zapata Olivella con la mira puesta en proximas visitas a Vanderbilt. “Quería explorar su geografia, descubrir su paisaje, subir sus montañas y navegar sus rios”, afirma la historiadora, al resaltar el valor de los archivos sonoros (algunos de ellos aún en proceso de transcripción y catalogación) que rescatan procesos y dinámicas sociales condenadas al olvido por falta de registro escrito. La colección Zapata Olivella, agrega la investigadora, captura la etapa crucial de una Colombia en proceso de transición hacia la modernidad, cuando el estado aún no se había consolidado y la mayoría de la población era iletrada. “Muchos de esos saberes se iban a perder si no se consignaban y el gran mérito de Zapata Olivella, al frente del Grupo Etnográfico, fue recuperar gran parte de conocimiento sin establecer jerarquías de dominación,” sostiene Britto. En vez de utilizar categorías de letrados o analfabetos, Zapata (quien prefería usar la palabra anágrafo para significar el no uso de escritura), empoderó a la gente común como narradores y poseedores de un saber único que se transmite a través de formas alternativas de lenguaje. Vanderbilt University’s Center for Latin American Studies will expand its trans-institutional collaborations and public engagement in Tennessee and across the country—thanks to a $1.64 million grant from the U.S. Department of Education. The four-year grant renews the center’s prestigious designation as a comprehensive National Resource Center for Latin America. The National Resource Center designation is the highest recognition an academic center can receive. The Center’s “One Vanderbilt in Latin America” model integrates teaching, research and public engagement, with a focus on particular places and themes. This federal funding will allow CLAS to expand its collaborations across colleges and schools, fund native language instruction and support summer research for students. It will also support secondary outreach programs and collaborations with historically black colleges and universities in the region. Working with Peabody faculty, CLAS will help prepare K-12 teachers to teach students from diverse backgrounds; in conjunction with the Library, it will digitize the Afro-Colombian collections, making those materials available online; and collaborating with the Nashville Children’s Theater, it will commission and produce a new play. Fischer praised the accomplishments of faculty and students that have made the center’s leadership in Latin American studies possible. 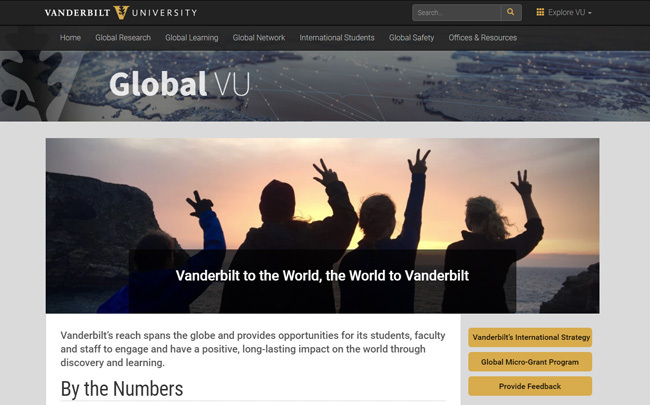 “We are blessed with an especially accomplished and engaged group of faculty and students, and Vanderbilt is the perfect size and environment to foster interdisciplinary collaboration,” he said. The center is home to the Vanderbilt Institute for Coffee Studies, the InterAmerican Health Alliance and other research and teaching initiatives. In addition to the designation as a National Resource Center, the award includes Foreign Language and Area Studies fellowships that will support the study of K’iche’ Mayan, Brazilian Portuguese, Haitian Creole and Quechua at Vanderbilt and abroad. 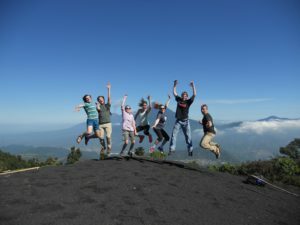 CLAS collaborates with Tulane University to offer the Mayan Language Institute each summer in Guatemala, and the Portuguese Language and Brazilian Culture program. Founded in 1947 as the nation’s first Institute of Brazilian Studies, the Center for Latin American Studies has a long history of engagement with the region. Vanderbilt has a remarkable concentration of Latin Americanists, with particular strengths in Brazil, Central America, the Black Atlantic and the Andes. Since 2006, CLAS has been designated as a National Resource Center. Over the last decade, the center has increased its engagement with faculty and students; currently, 16 percent of the College of Arts and Science faculty have an affiliation, as well as 42 faculty in the professional schools. “We are the only program at Vanderbilt to have substantive joint programs with every school and college on campus,” Fischer said. The center’s public outreach program has also grown over the last decade, reaching more than 190,000 individuals last year. In 2018, the Consortium of Latin American Studies Programs (CLASP) continues the practice of bestowing the CLASP Teaching Award for K-12 Educators to recognize excellence and innovation in the teaching of Latin America and the Caribbean among elementary, middle, and high school teachers. 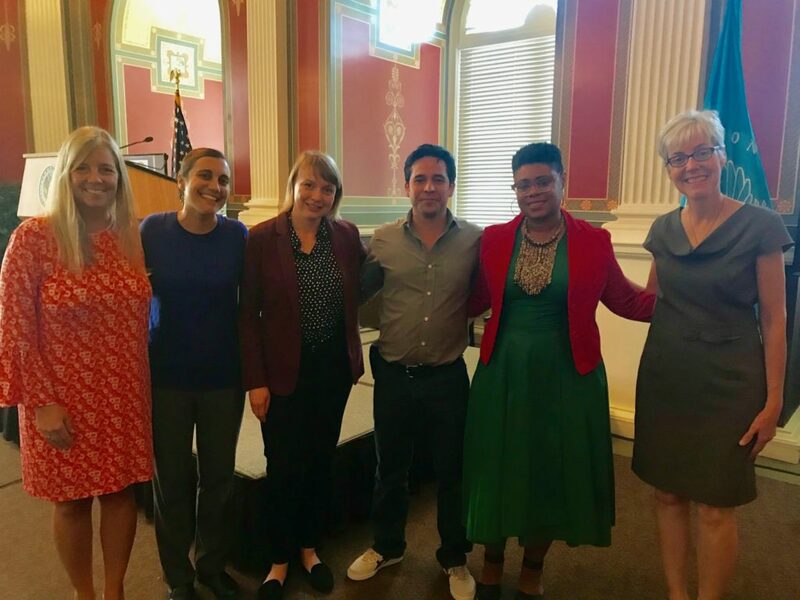 “Each year the award process highlights exceptional educators from across the country and brings to light inspiring teaching practices,” said Keira Philipp-Schnurer, who serves on the CLASP Outreach Committee and was a part of the review committee. Barcelona, Spain–May 25, 2018–American Street written by Ibi Zoboi and DANZA! 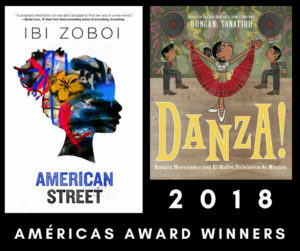 : Amalia Hernández and el Ballet Folklórico de México written and illustrated by Duncan Tonatiuh win the 2018 Américas Award for Children’s and Young Adult Literature. The award links the Americas by reaching beyond geographic borders and multicultural-international boundaries, focusing upon cultural heritages within the hemisphere. This picture book is the biography of Nicaraguan Rubén Darío (1867-1916). He was a journalist, essayist, poet, novelist, and diplomat. Darío was a clever innovator and is considered the father of the Modernism movement in Spanish literature. This book consists of a poem with 60 stanzas each composed of 4 verses, and each verse has 8 syllables with an A-B-A-B rhyming pattern. Verses don’t follow traditional sentence structure and also include picturesque words, intricate metaphors and symbolism, all emulating Dario’s style in his celebrated poem Margarita Esta Linda La Mar, or “Margarita the Sea is Beautiful.” This piece is learned in schools and recited by children in Central America. Writing and reciting complex poetry is highly regarded in Spanish speaking countries. Hence, the book highlights this cultural-linguistic tradition. Additionally, Rubén Darío like other literary celebrities is a role model for young authors. Puerto Rican Georgina Lázaro, writer of this book explains that it is part of a biographical series that “relates in a poetic and enjoyable manner the childhoods of people that left their mark in our world, and reminds us that tomorrow’s achievements depend on today’s children.” The text is supported by the distinctive drawings of Lonnie Ruiz, a talented Nicaraguan graphic designer. Due to its academic register, this book is suitable for use in a Spanish language arts class with students whose Spanish proficiency is intermediate-advanced or advanced. (Grade 3-5). The story, which is inspired by the Mexican ballad Cielito Lindo, is a loving tribute to the author’s grandfather. Readers of Mexican heritage will recognize the title translated from a verse in the song – rendered sweet lovely one – that is often sang to young children as a lullaby. Dominguez affectionately recounts how her grandfather, who was an accomplished singer and performer, would visit from Mexico and sing to her and her brother each night. He would warmly advise his grandchildren to keep an optimistic spirit whenever they were discouraged and sing rather than cry because singing “gladdens the heart.” The charming illustrations make it is easy for children to follow the storyline. Teachers can use the story in lessons aimed to engage children in honoring their grandparents, sharing their own suggestions for staying motivated despite challenging setbacks, and comparing Cielito Lindo to lullabies from different cultures. This English-Spanish bilingual picture book is the story of Salvador, a young boy who dreams of becoming medical doctor after helping his Spanish-speaking abuela navigate a crowded clinic and an uncaring doctor. The books’ vibrant cartoonlike illustrations enrich the text, and the fact that the story is based on the childhood experiences of the author, who is now a medical doctor, make the book delightful to read. The author and illustrator are indeed role models for growing artists. This book also makes us aware of the diversity among Latinas/os while highlighting their shared cultural values of familism, empathy, education, and hard work. In the candid manner of a child’s perspective, the book introduces hefty issues about healthcare policy, cultural expectations, and stereotypes. Analysis of these themes could lead to rich classroom discussions and opportunities for fostering cross-cultural understanding. (Grades K-5). Eddie Wright-Rios and Joel Harrington are among 175 scholars, artists, and scientists named as 2018 John Simon Guggenheim Memorial Foundation Fellows. Professor of History Eddie Wright-Rios specializes in modern Mexico and its cultural history; he will use his Guggenheim to complete his book, Devotion in Motion: Pilgrimage in Modern Mexico. He noted in his proposal that this project requires scholarly sleuthing, creativity flexibility, and sensitive exposition, as it leans heavily on his oral interviews and participation alongside a group of market vendors during six days and 120 miles of walking to Our Lady of Juquila’s shrine. Wright-Rios will devote the next academic year to honing his analysis of the Juquila’s growing online devotional presence, completing additional devotee interviews in Mexico and writing book chapters, as well as taking part in the pilgrimage again in November via bicycle. Part of the project entails a concerted effort to reach beyond the academy to a truly public audience through a travelling photography exhibit anchored in the project. CLAS worked with Wright-Rios to organize and host the exhibit on campus, as well as at Miami University in Ohio and Cumberland University in Tennessee. Joel Harrington, Professor of History and department chair, was also selected for a Guggenheim fellowship. His project, “Hans Staden and the German Counter- Narrative of New World Cannibalism,” focuses on the sixteenth-century true story of a Hessian mercenary. Hans Staden was shipwrecked in southern Brazil and credited divine providence for his nine-month survival and subsequent escape from his cannibal captors, the Tupinamba Indians. Staden’s publication, True History, was promoted as a popular “maneating book” about the adventure and became an instant bestseller in 1557. However, Harrington has found a disjunction between the lurid marketing of the book and the more sympathetic account Staden wrote about his “hosts,” also in contrast to the denigrating portrayals by Spanish and Portuguese contemporaries. Harrington plans to travel to relevant Brazilian sites and archives and make an archival trip to Germany, where he will review printed German accounts of the New World at the Herzog August Bibliothek in Wolfenbüttel. Vanderbilt’s Office of Health Sciences Education, in conjunction with the Center for Medicine, Health and Society, Vanderbilt Institute for Global Health and the Center for Latin American Studies, will host a public lecture and interview with global health expert Paul Farmer on Feb. 19 in Langford Auditorium. The event, titled “Paul Farmer and Haiti,” will begin at 4 p.m. Ted Fischer, director of the Center for Latin American Studies and the Cornelius Vanderbilt Professor of Anthropology, will moderate the interview. 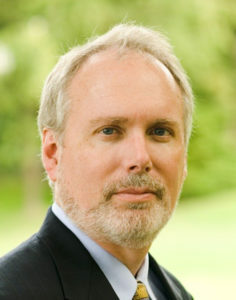 Farmer, a physician and anthropologist, is the chief strategist and co-founder of Partners In Health, Kolokotrones University Professor and chair of the Department of Global Health and Social Medicine at Harvard Medical School, and chief of the Division of Global Health Equity at Brigham and Women’s Hospital in Boston. He also serves as U.N. special adviser to the secretary-general on community-based medicine and lessons from Haiti. Farmer is an advocate for Haitians, Haiti, and the universal right to health care. He has written extensively on health, human rights, and the consequences of social inequality. His most recent books are In the Company of the Poor: Conversations with Dr. Paul Farmer and Fr. Gustavo Gutiérrez; Reimagining Global Health: An Introduction; andTo Repair the World: Paul Farmer Speaks to the Next Generation.